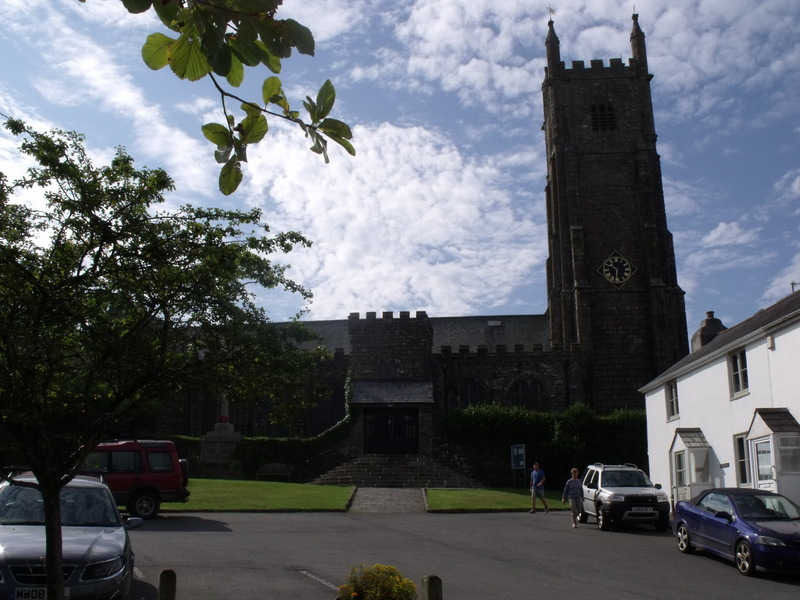 An impressive church which dominates the village. 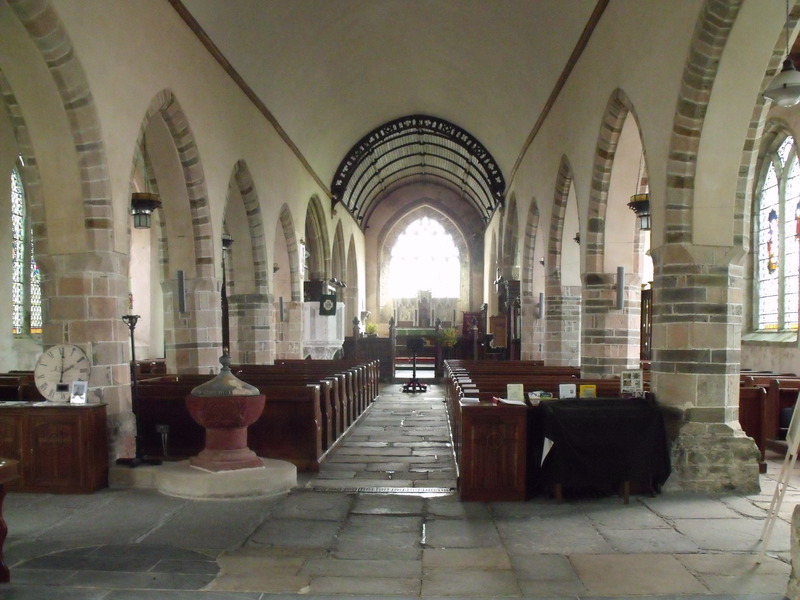 The interior is similarly impressive. The sign board only mentions Sunday services and that the Post Office is in the church two sessions a week. A good way to get local people to come in the doors. Inside I found a guide book and some post cards for sale. There is a folder giving details of the war dead from the village and also one on a survey of the monuments here. A nice parish map is also displayed. There is a good children’s area. Some leaflets were around about The Three Rivers Mission Community. There was a nice collection of prayers to use, both generally, and for particular groupings in the parishes which make up this community. There is a village website – http://www.ugborough.com and 10 people in the visitors book in the last 22 days. 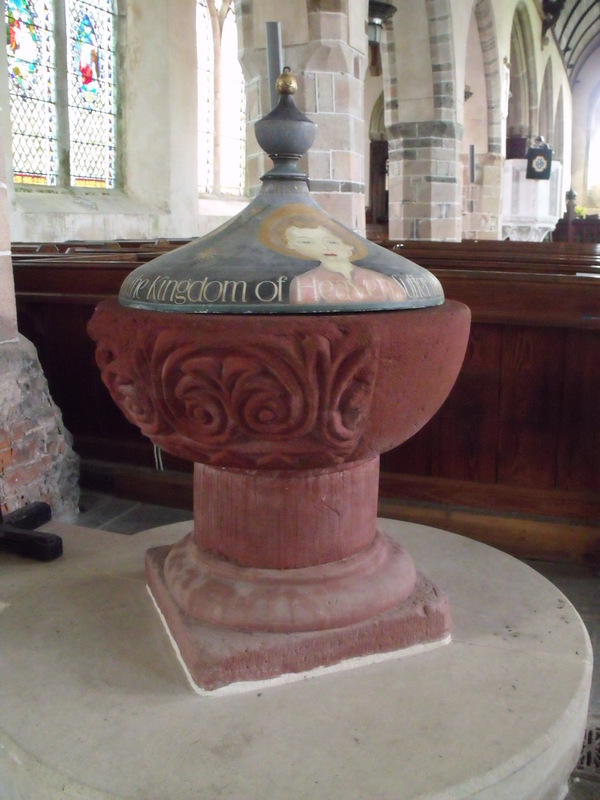 The font here is bright red with a modern cover, also brightly painted. 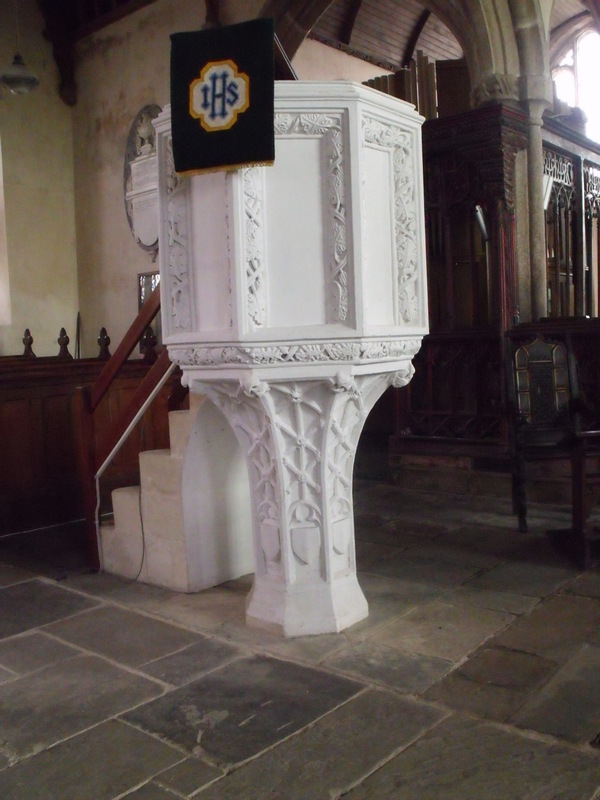 The pulpit is white and there is another font in the prayer area. This has a prayer board and a laminated sheet, ‘To help you use five minutes in prayer’. This had some good suggestions on it. I hope it gets used. The parish priest, Fr Harry Jevons had produced a leaflet, ‘A Sure and Certain Hope’ which explains the Christian hope in the face of death. It is very good. I rate St. Peter’s as good.